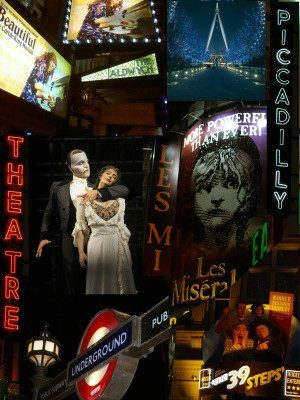 When I come back from seeing a show, I want to tell everyone what I thought of it: anyone who will listen that is! And I am always interested in what other people think. So what do you think? Good or bad, long or short. Please Tell Us! You can also leave us feedback on our website, the booking process or the package you have bought. Thank you so much. I really am so grateful for all of your help - you have been wonderful. You've made planning a hen party in London so easy! We had an excellent time on our recent trip to London to see School of Rock. and home post code was incorrect. Checks were made and we were able to sign in. We would like to say how well everything went. The train journey was smooth and on schedule,seats were reserved and we arrived in London on time.The Corus Hotel was very good and the staff very helpful. We were instructed by the Concierge to catch a bus to the Theatre. On arrival we were shown to our seats .They were in the stalls and could not have been better Good leg room a with a very good view. The Jersey Boys started prompt and was Brilliant from start to finish. We recommend this show to anyone as it is superb.